According to the official figures, the Ford Focus is currently the fourth-best selling new car this year. In fact, the Focus has regularly been at the top of the sales charts since its introduction some 20 years ago. You don’t achieve success like that by not offering a car that meets the needs of its customers, and while there has been lots said about diesel cars these past few years, they’re still an important part of the car market; Ford reckons 28% of new Focus buyers will go for this 118bhp 1.5 TDCI engine. In other words, this particular car is still important to quite a lot of people. On the face of it, it scores quite highly, because this mid-range 1.5-litre unit is slightly more powerful than the majority of its peers, and it comes as standard with a six-speed manual gearbox while rivals such as the Volkswagen Golf and Skoda Octavia make do with five-speeds. You can also have a lower-powered Focus in sporty ST-Line and ST-Line X trims, compared with many rivals that reserve their racier looking versions for swifter and more expensive petrol and diesel options. Compared with the standard Focus, this ST-Line X gets a more aggressive looking bodykit that avoids looking like something a boy racer bought on eBay, along with a few additional goodies over the ST-Line. This includes a larger 8.0in infotainment touchscreen, front and rear parking sensors, an electrically adjustable driver’s seat and automatic wipers. 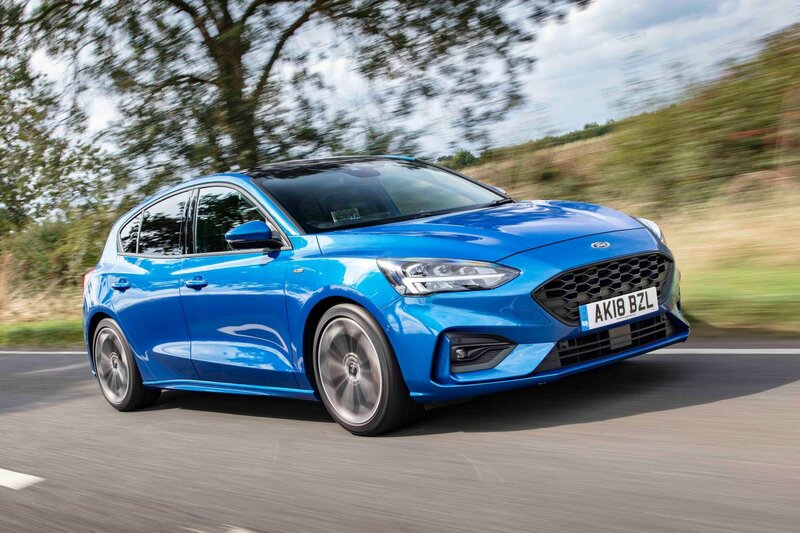 Ford says this Focus as its most connected and most intelligent car yet. And indeed, with this automatic version, you can add a driver assistance pack that gives a greater level of autonomous driving assistance, including a stop-and-go feature that can not only bring the car to a halt, but also help it to filter in heavy traffic by allowing you to start it up again with just a touch of the accelerator pedal. 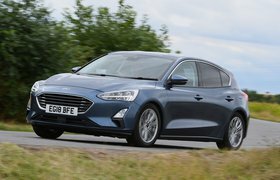 The Focus is billed as fun to drive, and we’ve found that to be true with both the petrol engines we've tried so far. Fortunately, the 1.5-litre diesel maintains the sharp steering, fine body control and high levels of grip of those models. The more sporty set up of the ST-Line X brings about a 10mm reduction in ride height over the standard Focus and tweaked suspension settings to compensate. 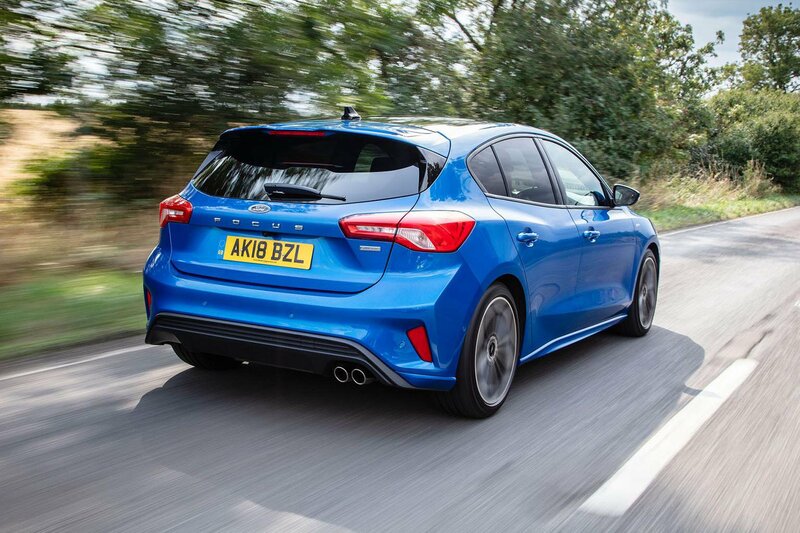 But even on larger 18in alloy wheels, the low-speed ride is comfortable enough for those in the market for a more athletic family car, despite this Focus having a simpler rear suspension set-up than its more powerful stablemates. It soaks up jolts caused by the worst potholes and speed bumps really well – better than a similarly specced Seat Leon FR. Up the speed and the ride gets noticeably more fidgety. It’s never truly uncomfortable by any means, but it just doesn’t feel as settled as some rivals'. 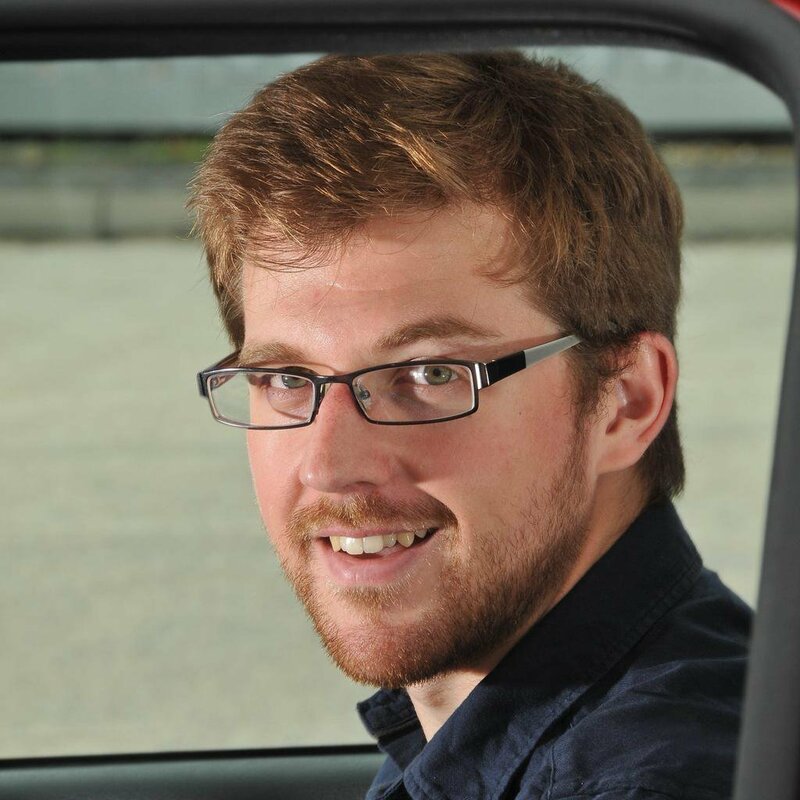 From experience, things are improved considerably by going with the smaller wheels and the greater compliance of the standard suspension set-up available on Zetec and Titanium cars. There’s some wind noise from around the door mirror area at motorway cruising speed, but road noise is isn’t too bothersome, so it’s not a bad place to spend time in. Even so, the Octavia is a more agreeable long-distance companion. To help you out with long journeys, you can include a driver assistance pack for £500. This features adaptive cruise control and lane-keeping assistance. When you’ve engaged both systems, you can feel the steering constantly adjusting itself to keep the car in the centre of your lane. It’s impressive that it doesn’t fall into the trap of rivals that pinball between the lines, but there are still smoother-acting systems available. As the 1.5 TDCI is the mid-range diesel option with a relatively meagre 118bhp, performance is best described as sufficient, rather than sprightly. On paper, it may have an impressive 221lb ft of torque, but that’s only for short periods of 'overboost', which happens when you demand full acceleration. You’ll also need to row it through the gears often in the six-speed manual version, because this engine is sluggish at low revs. However, this is one of the slickest gearboxes in the class, so it’s not the end of the world. The optional eight-speed automatic does a much better job of keeping the engine in its optimum power band, but it does cost significantly more and has higher CO2 emissions. You might also find the engine to sound a little coarse under acceleration, although it does quieten down once you’re up to speed. The engine sounds especially grumbly when cold and takes quite a while to warm up, even on a mild morning. That makes you wonder what it’ll be like in the depths of winter. And you’ll still feel a disappointing amount of vibration through the pedals when it is up to temperature. At least once you have some heat in the engine, you can always use the start/stop technology to solve that. However, the automatic version requires you to fully depress the brakes before this function will activate, and if you put the parking brake on so you’re not dazzling following traffic and you release the brake pedal, the engine fires back into life unnecessarily. Considering all the changes made to the outside, the interior alterations are nowhere near as extensive. Sure, there are lashings of red stitching on the seats, centre console kneepads and steering wheel (which is suitably flat-bottomed, of course), and you get some shiny alloy pedals, but on the whole, it’s all very subtle. The Golf R-Line goes a bit further by offering a sportier steering wheel and more heavily bolstered seats. Not that there’s anything wrong with the seats or the driving position. The range of adjustment is top notch, and the electrically adjustable driver’s seat is a welcome luxury. One noticeable step-up in the Focus is the amount of space in the rear; even the tallest of passengers will find there’s room to spare back there. Ford has even reduced the size of the central tunnel, so piggy in the middle doesn't have to straddle a hump in the floor. The boot isn’t quite so impressive, considering that the latest Kia Ceed's is slightly bigger and the Octavia's is large enough to go potholing in. You can maximise space by avoiding the optional Bang & Olufsen sound system, which puts a big subwoofer under the carpet, and adding a £75 adjustable boot floor that helps to liberate some extra space. It’s a shame that the material quality hasn’t improved all that much over the old car, since there are many places where hard plastic can be found too easily and the fit isn’t as impressive as in a number of similarly priced premium rivals. Also, if you rest your knee against those aforementioned kneepads, you’ll see the whole centre console move. 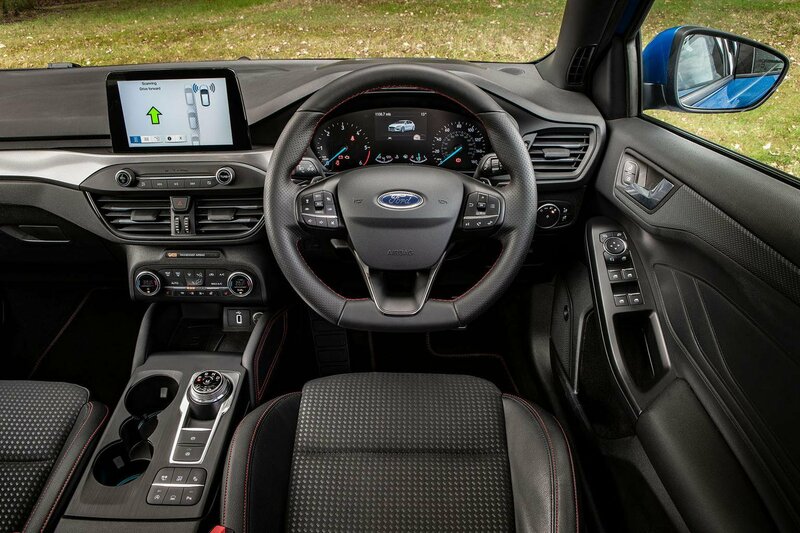 If you're curious as to what the rest of the Focus's interior and its infotainment system is like, head over to our comprehensive 16-point review.